Representations of the RGB space in terms of 3D-polar coordinates (hue, saturation and brightness) are often used in image analysis. The literature describes a large number of similar coordinate systems (HLS, HSV, etc.). We show that the reason for the existence of so many systems is a poor definition of the saturation coordinate which makes it dependent on the brightness function used, and hence poorly suited to image analysis applications. 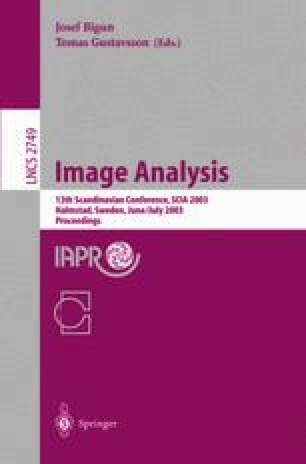 An improved saturation measurement which (1) always has small values for achromatic colours and (2) is independent of the brightness function is derived. This work was supported by the Austrian Science Foundation (FWF) under grants P14445-MAT and P14662-INF.